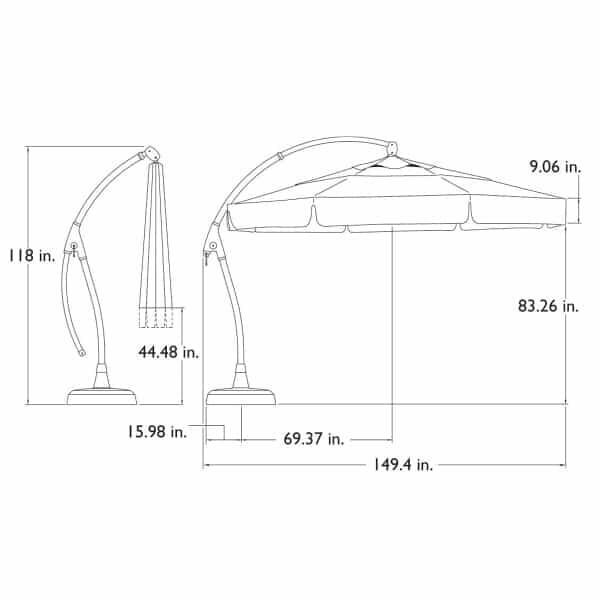 For more than 20 years Treasure Garden has been a leader in the Umbrella and Patio Furniture Accessory industry. Relying on quality and innovation in the manufacturing process has allowed Treasure Garden to introduce some of the most premier and upscale umbrellas available today. From push button market umbrellas to massive cantilevered umbrellas, there really isn't much that they don't do. The entire line of umbrellas from Treasure Garden are made from only the highest quality materials and are made to last. Beat the heat this year and every year with an 11 Ft. Cantilevered Umbrella from Treasure Garden. The AG is an 11ft. 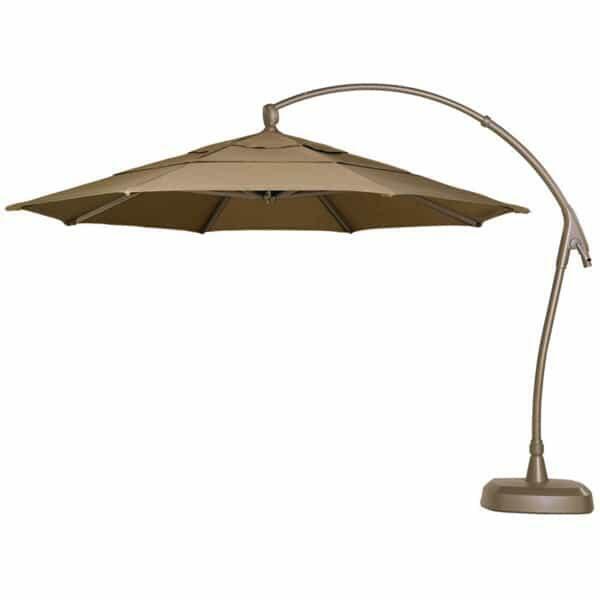 octagon European style cantilevered umbrella that features a patented tilt and lock system to tilt the canopy at virtually any angle. It also includes an easy-to use foot pedal to rotate the canopy easily over multiple settings. It is the perfect shade alternative. Placing the AG between two entertaining areas such as a spa or chaise lounge setting is ideal.